Which pharmaceutical companies have the most drug patents in Russian Federation? Copyright © DrugPatentWatch. Originally published at Which pharmaceutical companies have the most drug patents in Russian Federation? 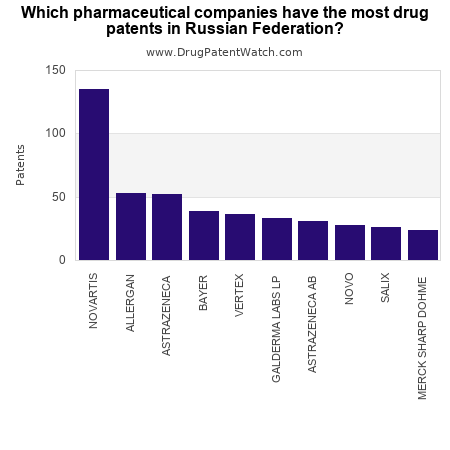 This chart shows the pharmaceutical companies with the most patents in Russian Federation.